Here’s the run down, then we’ll slowly start to review them over the next few days. I’ll focus today mostly on the first one, Custom Reports, and just mention the others. “Custom reports enable customers to create their own reports with the metrics they want to compare—organized in the way they want to see it. ” OK, that’s the Googlespeak. But to me, custom reports enable me to finally create a report once, in GA, and not have to recreate it every time I want it, and I can use the report across all the profiles that I have access to. You have to play with it a little until you really see how powerful it is. It enables you to create what looks like a standard report, but instead of bounce rate, exits, etc across the top, you can have Goal 1 started and Goal 1 completed, or Visits with Search and Search Refinements (like in my screen shot here. ) Furthermore, you can segment by anything you want. In my screen shot, I segmented by hour of the day, but I could have chosen anything else in the green “dimension” values that you see on the left side of my screenshot. We’re getting an API!!! It is in private beta. This new application programming interface lets people export their data for lots of cool uses, like building custom dashboards. We won’t have to do all our work in Excel anymore. Motion Charts are the next item. They aren’t my favorite yet, but I am sure they will be after you can aggregate the data by time. They are a visualization of your data — just about any data you want. You can choose up to five dimensions. 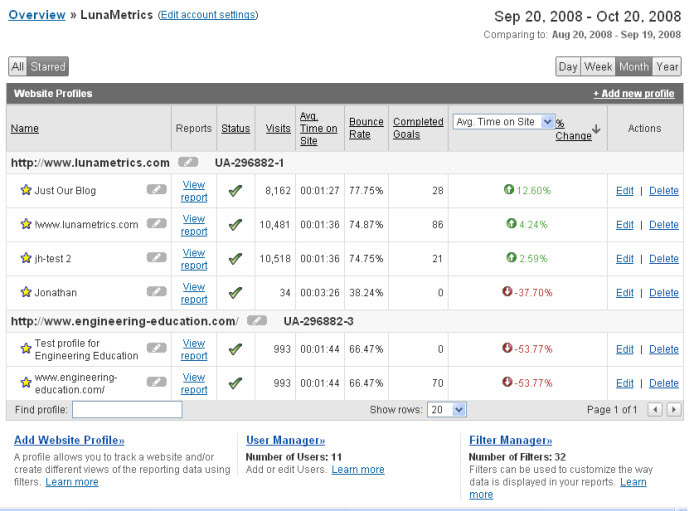 And last comes the only beta that we didn’t test at LunaMetrics — GA integration with Google AdSense. AdSense publishers will now be able to see performance by both page and referring site to make more informed decisions. Who knows? 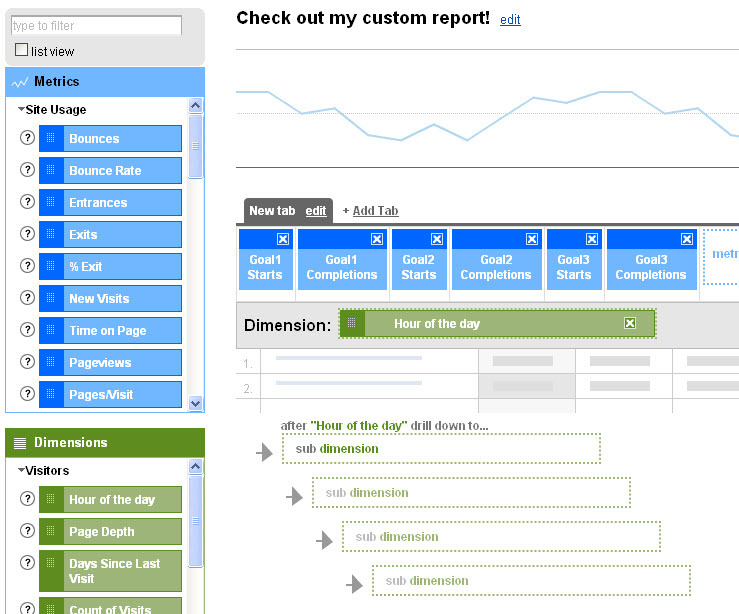 Soon maybe we will get really good integration with Website Optimizer. With Feedburner! Damn, I won’t be creating all those profiles any more….